Analogy’s striking upright design features ergonomic support and durability paired with exceptional value. With extended seat height ranges and supportive foot rings, our lab stools are ideal for art rooms, science labs, classrooms and more. One-piece molded polypropylene shell, pneumatic cylinder. Chair swivels 360°. 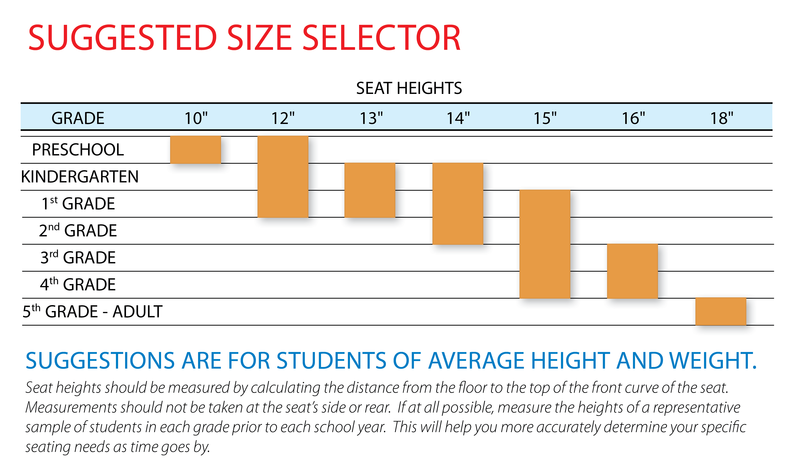 Seat height adjust from 19" to 27"; footring is adjustable from 8-5/8" to 14-1/2".